Looking for Baja graphic decals stickers? Need to replace a worn or torn Baja graphic decals set? Want to enhance your boat with original Baja graphic decals or renovate your room with authentic Baja graphic decal stickers? Search our growing inventory for hard to find Baja graphic decal stickers, vinyl boat lettering decals, Baja graphic decals set, Baja emblem and logo graphic decals and other marine accessories and boat parts. Our Baja boat decals are original Baja Marine graphic decal stickers manufactured by Baja Marine. Looking for specific Baja model boat graphic decal or graphic decals set? 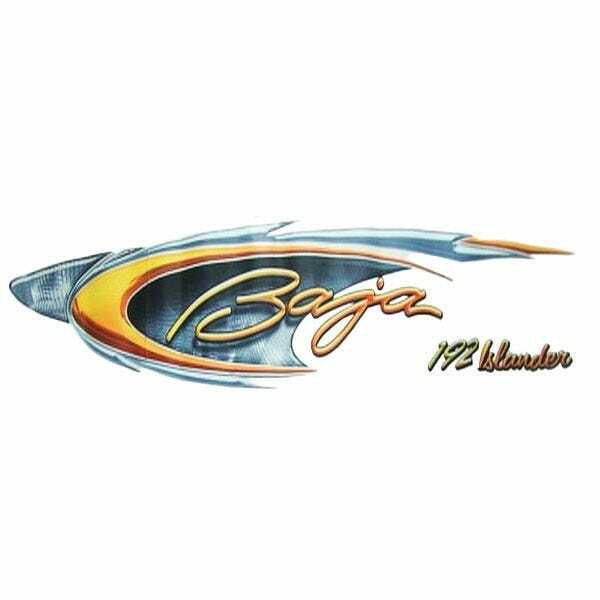 We have Baja Islander graphic decals, Baja Outlaw graphic decals, Baja Sports Fisherman graphic decals, Baja Sportfish graphic decals and Baja vinyl boat lettering graphic decals. Great Lakes Skipper brings you value for your boat parts and marine accessories needs. Why shop anywhere else? We are a discount marine store specializing in boat parts and marine accessories with thousands of new marine supplies, marine equipment and marine boat parts listed every month! Make Great Lakes Skipper your one stop shop for marine accessories and boat parts!